Hello viewers, its Zack Hirsch here and if you are still frequently reading my previous blog posts, then I have some things I need to share with you. Throughout this entire campaign, I have asked my friends and peers on their personal opinions of the idea about my campaign. Most of them actually liked it and provided me with some critical feedback that helped me make my campaign more professional and successful. Now I ask to you my audience, how did you guys like the way my campaign was set up? Are there any changes or critiques I should make to increase my viewership? What would you guys have done differently? I want to actively engage with my viewers so we can build a mutual relationship and help me make the best campaign I possibly can. I appreciate everyone for viewing my blog! 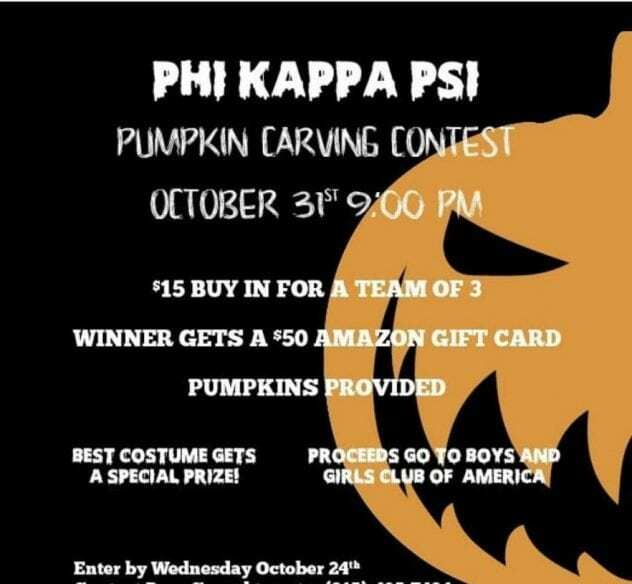 The total money we ended up raising from the Phi Kappa Psi pumpkin carving contest ended up being $165!!! I was very pleased with these numbers being that my peers were experiencing difficulties and hardships within their campaigns while mine succeeded pretty well. 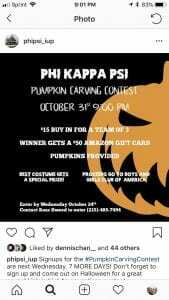 My fraternity and I have received an email from The Boys And Girls Clubs of America thanking us for our donation and saying how this donation will greatly benefit the children and teens. I was so pleased to hear back from them and it warms my heart knowing I made a difference for young people in need of help! 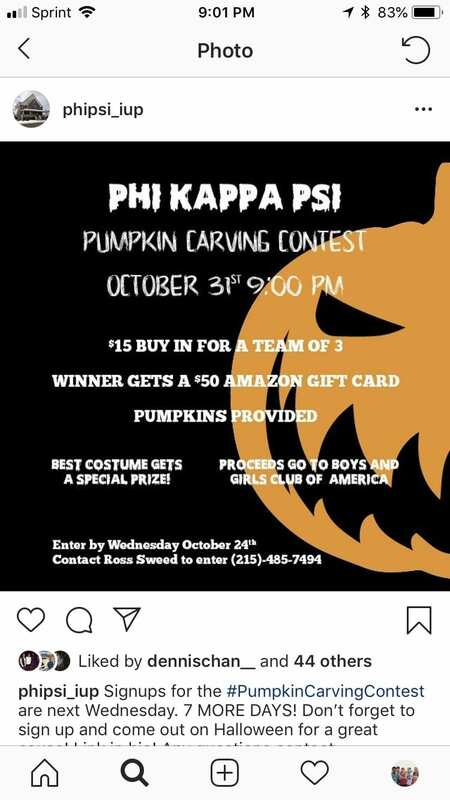 My fraternity brothers and I have decided that we are going to make the pumpkin carving contest a regular yearly thing. It was a huge success and it seemed to be enjoyed by everyone who participated. 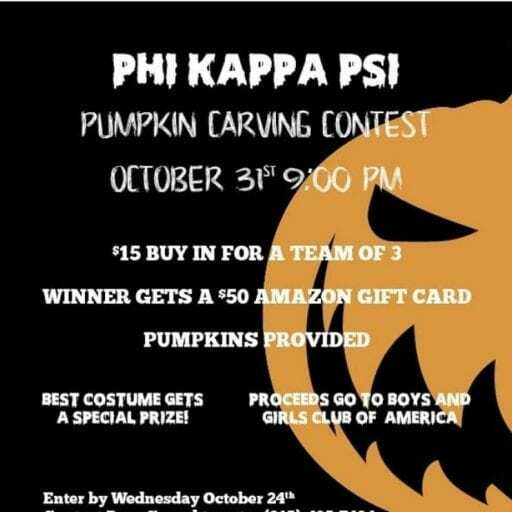 We are not sure if the proceeds will go to The Boys and Girls Club of America, but its a great way to raise money for an organization in need.